The Andaman Islands cover an area of just over 3,000 sq miles and have 500 islands, islets and rocky outcrops in the archipelago. The natural vegetation of the Andamans is tropical forest, with mangroves on the coast. A high proportion of these forests are protected with a confusing network of Tribal Reserves, six National Parks and Coastal Belts, and no less than 94 wildlife sanctuaries. The Andaman Islands are home to a number of animals, many of them endemic. Many of the islands in the Andaman area are surrounded by fringing reefs, really only accessible by liveaboard diving. The reefs are often several hundred yardswide and separated from the shore by a lagoon of similar width. Divers can follow around the undulating hills of black volcanic lava, which makes for some unusual diving. There are also plenty of shallow reefs suitable for snorkeling. Forming the border between the Andaman Sea and the Bay of Bengal, India’s Andaman Islands are mostly uninhabited and covered with virgin rainforests. Diving is still in its infancy here, with only a couple of Thailand based liveaboards visiting for a few trips each season. The Indian government takes a serious approach to protecting its marine resources, and foreign fishing vessels give the region a wide berth. 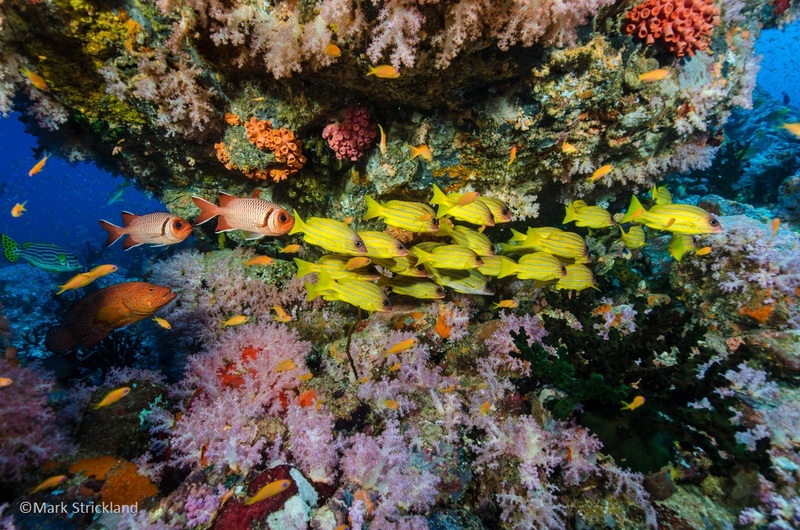 As a result, marine life populations are robust. The diving off Narcondam and Barren Islands features dark volcanic sand bottoms with healthy hard corals in the shallows. Fish life is impressive at both islands, with plenty of colorful reef species and good chances of seeing heavyweights like Dog-tooth Tuna, Napoleon Wrasse, Bumphead Parrotfish and Mantas at many sites.